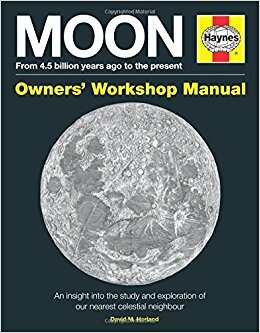 It was a clever idea: to put out a guide to the Moon in the same format as one of Haynes’ famous car-maintenance manuals. And the execution matched the idea. This is a detailed and interesting history of selenological speculation and lunar exploration, all the way from the ancient Greeks to the Apollo missions and beyond. And we’ve been stopped for some time. Neil Armstrong died in 2012, forty-three years after that “small step for a man” and “giant leap for mankind” in 1969. But David M. Harland ends on an optimistic note: he thinks that “The Moon is humanity’s future.” It will be our gateway to the rest of the solar system and perhaps even the stars. But it will be more than just a gateway. There is still a lot we don’t understand about our nearest celestial neighbour and big surprises may still be in store. One thing we do now understand is that the scarred and pitted lunar surface got that way from the outside, not the inside. That is, the moon was bombarded with meteors, not convulsed by volcanoes. But that understanding, so obvious in hindsight, took a long time to reach and it was actually geologists, not astronomers, who promoted and proved it (ch. 5, “The origin of lunar craters”). It was the last big question to be settled before the age of lunar exploration began. Previously scientists had looked at the Moon with their feet firmly on the ground; at the end of the 1950s, they began to send probes and robotic explorers. Harland takes a detailed look at what these machines looked like, how they worked and where they landed or flew. Then came the giant leap: the Apollo missions. They were an astonishing achievement: a 21st-century feat carried out with technology from the 1960s, as Harland puts it. Yet in one way they depended on technology much earlier than the 1960s: pen and paper. The missions relied on the equations set out in Newton’s Principia Mathematica (1687). Newton had wanted to explain, inter multa alia, why the Moon moved as it did. By doing that, he also explained where a spacecraft would need to be aimed if it wanted to leave the Earth and go into orbit around the Moon. His was a great intellectual achievement just as the Apollo missions were a great technological achievement, but he famously said that he was “standing on the shoulders of giants”. Harland begins the book with those giants: the earlier scientists and mathematicians who looked up in wonder at the Moon and tried to understand its mysteries. Apollonius, Hipparchus and Ptolemy were giants in the classical world; Galileo, Brahe and Kepler were giants in the Renaissance. Then came Newton and the men behind the Apollo missions. Are there more giants to come? The Moon may be colonized by private enterprise, not by a government, so the next big names in lunar history may be those of businessmen, not scientists, engineers and astronauts. But China, India and Japan have all begun sending probes to the Moon, so their citizens may follow. Unless some huge disaster gets in the way, it’s surely only a matter of time before more human beings step onto the lunar surface. Even with today’s technology it will be a great achievement and more reason to marvel at the Apollo missions. And the Apollo photographs still look good today. There are lots of those photographs here, with detailed discussion of the men and machines that allowed them to be taken. 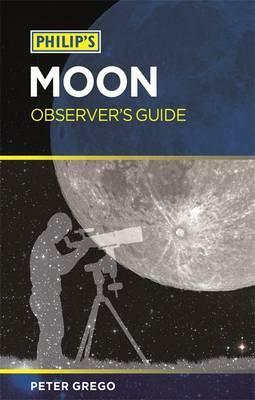 The Moon is a fascinating place and this is an excellent guide to what we’ve learned and why we need to learn more. 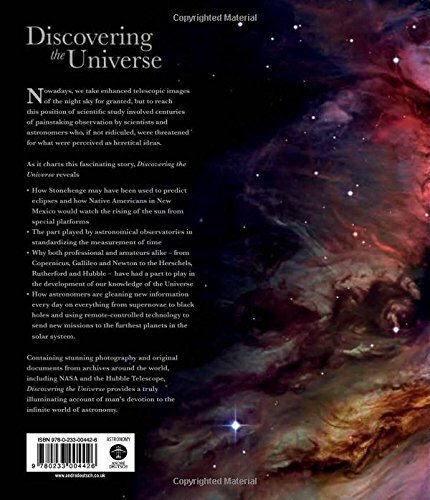 Possibly the best book I’ve ever read on astronomy: text and images complement each other perfectly. Even the solidness of the book was right. It’s a heavy book about heavy ideas, from the beginning of the universe to its possible endings, with everything astronomical in between. And everything is astronomical, if it’s looked at right. The elements vital for life were cooked in stars before being blasted out by supernovae. We are star-stuff that has the unique privilege – so far as we know – of being able to understand stars. Or trying to. This book was first published in 2012, so it’s inevitably out of date, but many of the mysteries it describes are still there. And when mysteries are solved, they sometimes create new ones. Even the behaviour and composition of a celestial body as close as the Moon is still impossible for us to explain. But sometimes it’s easier at a distance: the interior of the earth can harder to study than galaxies millions of light years away, as I pointed out in “Heart of the Mother”. In every case, however, understanding depends on mathematics. Astronomers have been building models of the heavens with shapes and numbers for millennia, but the models had to wait for two things to really become powerful: first, the invention of the telescope; second, the development of modern chemistry and physics. Whether or not there is life out there, celestial light is full of messages about the composition and movement of the stars and other bodies that generate it. Dark matter is a strange concept; so is dark energy. 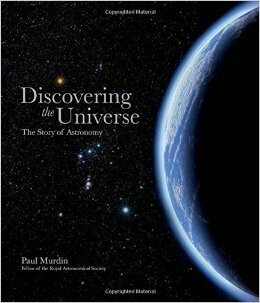 Astronomy may get stranger still, but the cover of this book is a reminder that human beings inhabit two kinds of universe. 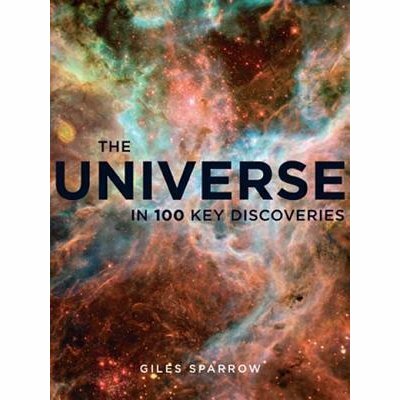 One is the universe out there: matter and radiation, moons, planets, stars, galaxies, supernovae. The other is the universe in here, behind the eyes, between the ears and above the tongue. 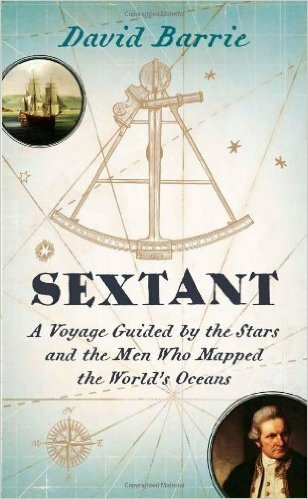 The cover of this book offers a vivid contrast between the swirling complexity and colour of a star-field and the sans-serif font of the title and author’s name. But the contrast is ironic too. The stars look complex and the font looks simple, but language is actually far more complex and difficult to understand than stars. Consciousness may be far more complex still. In the end, is the value of science that it expands consciousness, offering new physical and mental sensations of discovery and understanding? The powerful and beautiful images and ideas in this book could only have been generated by science, because the universe is more inventive than we are. But without consciousness, the universe might as well not exist. Without language, we’d never be able to try and understand it. Then again, the universe seems to have invented language and consciousness too. If you ask someone to name the most important inventions in history, two will often be overlooked: the microscope and the telescope. You could say that one lowered the floor of the universe and the other raised the ceiling: we suddenly became aware of wonders that had previously been too small or too far away for us to see. Practically speaking, the microscope might seem by far the more important, because it’s taught us so much about life on earth, not least our own. But the continued existence of humanity may actually depend on the telescope. Geologists have discovered that the earth has repeatedly been struck by asteroids; astronomers may be able to spot the next one before it hits. Otherwise we may follow the dinosaurs, trilobites, eurypterids and countless other once-flourishing groups into extinction. The city was Birmingham back in 2002. Cities aren’t just noisy, dirty and harmful to wildlife. They also deprive us of one of the greatest sights in nature: the night sky. Light pollution is silent, tasteless and physically harmless, but it deserves much more attention from conservationists. The Moon can be big enough and bright enough not to be wholly drowned by it, but it’s lèse-majesté against the Queen of the Night all the same. It also makes life much harder for amateur astronomers. Then again, perhaps that increases the rewards. And the Moon isn’t confined to the night sky, of course: you can observe it in full daylight using nothing more than binoculars. Serious observation demands a telescope, however, and Grego devotes a full section to what’s available. Inter alia, he himself has a “150mm f/8 achromatic refractor with digital camcorder setup with a zoom eyepiece for afocal video photography” (ch. 5, “Recording Your Observations”, pg. 144). Digital imaging and enhancement are now routine: modern technology can get “startling results from a seemingly mediocre video sequence” (pg. 146), sharpening and focusing blurred images. But Grego and his fellow selenographers are still doing what Galileo, Thomas Harriot and other early astronomers did centuries ago: drawing and sketching the Moon. There’s a good practical reason to do this, as recent science-news has confirmed: “drawing pictures of information that needs to be remembered is a strong and reliable strategy to enhance memory”. There is a lot of detail to learn on the Moon. It’s a fractal place: there are craters at every scale, from the microscopic to hundreds-of-kilometres wide and “it is estimated that the Moon’s surface is studded with more than 3 trillion (3,000,000,000,000) craters larger than a metre in diameter” (pg. 9). He’s never finished learning about the Moon, however, and neither will anyone else. It’s a life-long adventure and although the Moon might seem cold and unchanging, at least over a human life-span, there are rare events called TLP, or “Transient Lunar Phenomena”, to look out for. These are “apparent obscurations, glows or flashes on the Moon’s surface” that don’t have definitive explanations. Are rocks collapsing? Is sublunar gas leaking out? Might there even be life there after all? In fact, you could say that the Moon is a touchstone of human nature. Chimpanzees and gorillas may be almost identical to us in their genes, but they don’t talk, make art or gaze at the Moon in wonder. We still do and although we don’t usually worship the Moon any more, we may owe it our very existence. How important have the tides been in the evolution of life on earth? They provided a zone of transition for the emergence of plants and animals from the sea, and perhaps a Moon-less Earth would also be a Man-less Earth. As Sir Arthur Conan Doyle’s great character Professor Challenger pointed out in 1913: there are “many reasons why we should watch with a very close and interested attention every indication of change in those cosmic surroundings upon which our own ultimate fate may depend”. The Moon should frighten as well as awe and enchant us, or we might not survive to be awed and enchanted. This book will help you understand all these aspects of the Queen of the Night. I also hope that Grego will write a sequel to it one day: Moon Tourist’s Guide. We’re still on schedule for at least some of the future envisaged by Arthur C. Clarke in his novel A Fall of Moondust (1961), which was set in the mid-twenty-first century. A moon-cruiser called Selene may not be sailing in a basin of dust as “fine as talcum-powder” by then, but there may still be lunar tourism. If so, selenographers like Peter Grego will be able to see close-up what they’ve long surveyed from afar. Ptolemy, Galileo and Newton would all be astonished by the technology that allows modern astronomers to study phenomena like gamma-ray bursts, but one thing has remained constant: the importance of mathematics and measurement in studying the sky. The story of astronomy is not just about seeing further and clearer, but also of measuring better and mathematizing more powerfully. Ptolemy’s geocentric universe entailed the arbitrary complexity of epicycles on epicycles, to explain how the planets sometimes seemed to move backwards against the stars. Then Copernicus resurrected the ancient Greek hypothesis of a heliocentric universe. Planetary retrogression became easier to explain. Other hypotheses, like the steady state universe and Kepler’s planetary Platonic solids, haven’t proved successful, but data don’t explain themselves and astronomers have to be adventurous in mind, if not usually in body. 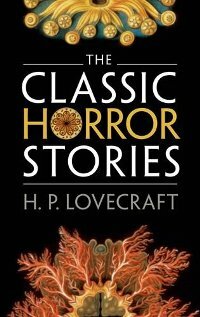 This book contains the big names, the big sights and the big mysteries that are still awaiting explanation. More big names, sights and mysteries are on their way. Night + light = bad. Interesting subject + poor prose = disappointing. And those are the formulae that govern this book. 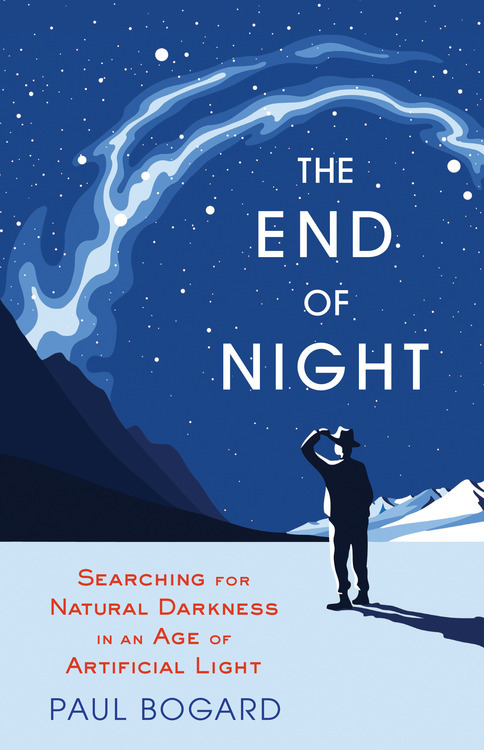 Artificial light destroys one of the most beautiful and inspiring sights in nature: the night sky. In proper darkness, we can see thousands of stars with the naked eye. In a brightly lit city, we’re lucky to see any at all. And we certainly don’t see any unless we’re looking straight up. That’s why artifical light is like amplified music and traffic noise: it’s one of the great barbarisms of modern life. So I was glad to come across this book. Light and its absence are implicit in “belief that house is occupied”, aren’t they? And how good is “CCTV/Camera” when it’s dark? That’s why I gave up this book by chapter 7, which was actually the third chapter in the book. That was a nice touch, paying tribute to the “amateur astronomer John Bortle”, who created a “scale on which he described various levels of dark skies, ranking them 9 to 1, brightest to darkest” (“Introduction”, pg. 9). So the deeper you get into the book, the darker it gets, until the final chapter, chapter 1, is about “The Darkest Places”. I’d like to have got that far and I wish Paul Bogard well in his campaign for less light and more night. But on this first attempt, at least, I got bored and gave up. I’ve seen some of the images here on-line, but they’re better in a book. The resolution is higher and books satisfy the sense of touch and even the sense of smell in a way electronic media don’t and won’t for some time. 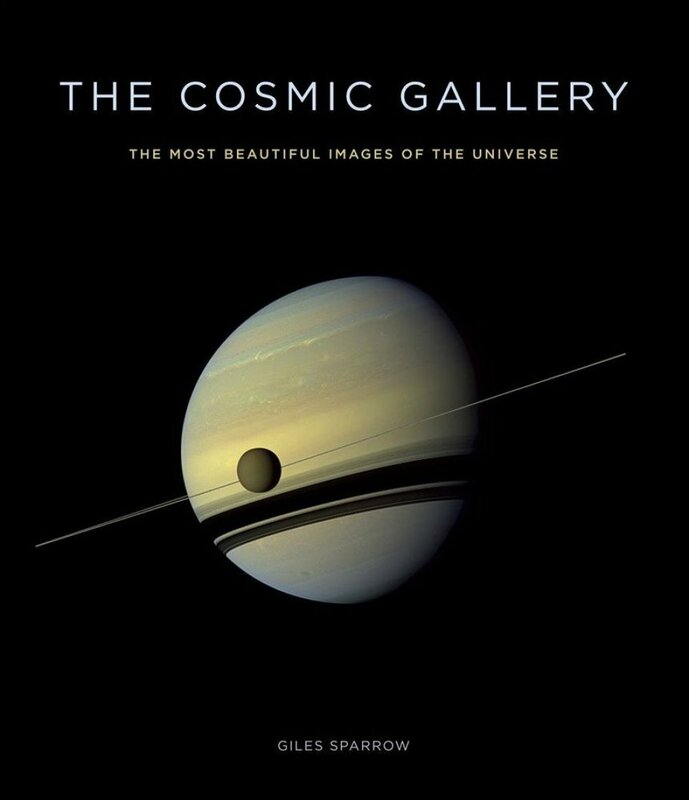 You can leaf through The Cosmic Gallery, twist and turn the book as you please and enjoy the contrast between the ultra-modern photographs and the ancient way they are presented. The word “book” may be related to “beech”, because beeches have detachable bark that’s easy to write on. So The Cosmic Gallery combines past and present – and in more ways than one. The gorgeous star-fields here are records of not just of prehistory but of pre-humanity, because the light that made them had been travelling for millions of years when it was captured by human technology. The star-photos are the most awe-inspiring and beautiful in the book. Some of the images from the solar system, being nearer to home and closer to the human scale, are almost domestic by comparison. But one of them reminds you of the vast scale of the solar system too: a now-famous shot of Saturn and its intricate halo of rings, taken by the Cassini probe as it looked sunward (pp. 148-9). To the left, “just inside the G ring at the ten o’clock position”, is a “pale blue dot”, easy to overlook, easy to ignore amid the splendour of the Saturnian rings. The dot is a planet called Earth, scene for all the horrors and heights of mankind. It’s a powerful reminder of how small we are even on a much-less-than-cosmic scale. But as C.S. Lewis pointed out: the ability to feel small is possible only to big creatures. Neither ants nor elephants are awed by the size, complexity and age of the universe, because neither ants nor elephants can appreciate them. Nor can they appreciate the mathematics that permeates the universe and that ultimately is the universe. The patterns here are sometimes huge and spectacular, but the forces that shape dunes on Mar (pg. 86, 174) are shaping dunes on Earth too. And the unpredictability of a water-thread, falling, twisting and sputtering from a half-closed tap, is seen in Saturn’s chaotic satellite Hyperion, which has “no set rotation period, or even axis of rotation” (pg. 168). The swirl of colours in a close-up of Jupiter’s Great Red Spot (pp. 76-7) reminds me of swirling paint in a Francis Bacon; the “writhing mass of cells and tendrils” in sunspots (pg. 172) might almost be competing colonies of bacteria in a Petri dish, or even melted cheese on a pizza. From fire to ice, from dust to gas, from clouds to ultra-violet light, from sun-spots to melted cheese: Mathematica Magistra Mundi, Mathematics the Mistress of the World, oversees it all. She also oversees the brains of the men – and it has been overwhelmingly men – responsible for designing and building the technology that has captured these images and brought them to the coffee-tables of the world. If we are here to go, as Brion Gysin claimed, then this book presents the looks before the leaps.